We are Engaged in Offering Aluminium Cobra Hinges in the Overseas Market. the Aluminium Cobra Hinges Offered By Us are Made Using High Grade Materials and are Highly Demanded By the Clients Due to Their Smooth Functioning in Applications. 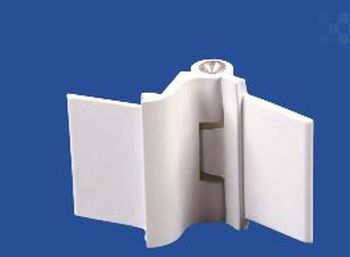 Moreover, Clients Can Avail Aluminium Door Cobra Hinges At the Most Affordable Prices from Us. Manufacturer & Exporter of Aluminium Cobra Hinges & Aluminum Cobra Hinges. Our product range also comprises of Aluminium Louvers, Concealed Louvers and Plastic Louvre Blade.